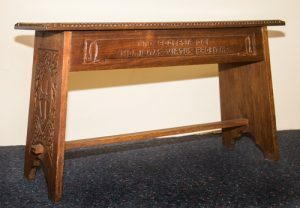 Piano stool carved date unknown, St Michael's Collegiate, Hobart . Who was Nellie Payne? 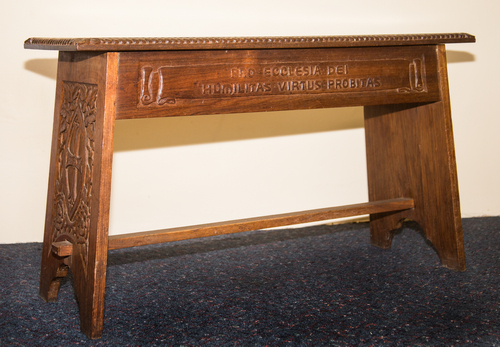 Unfortunately we don’t know when Nellie carved this piano stool for the school but it is a beautiful piece with the school motto along one side, badge and passion flower motifs on the other three sides.